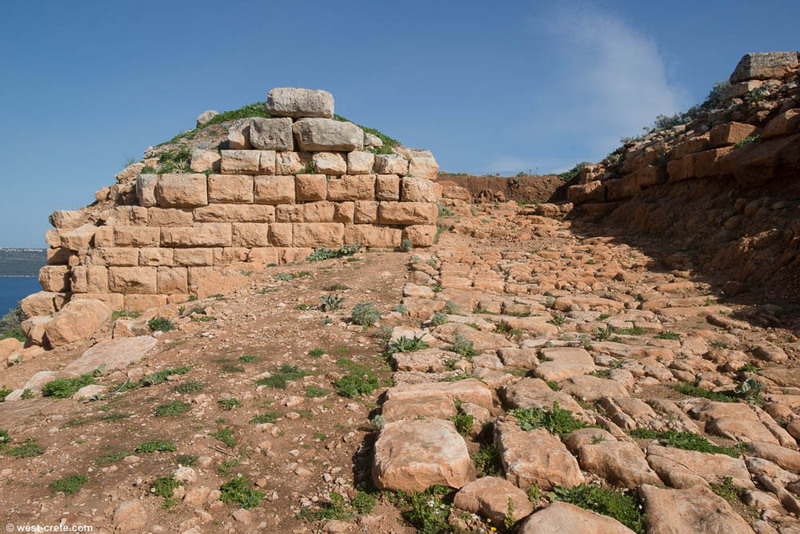 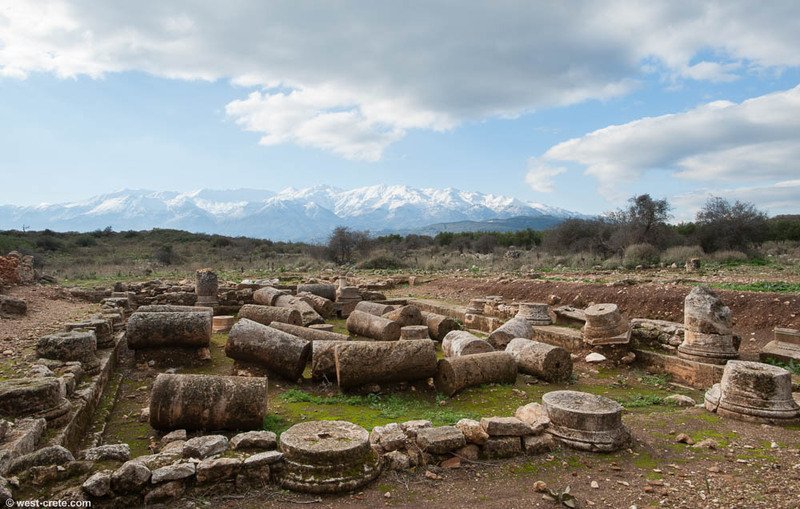 One of the most interesting archaeological sites in western Crete, Aptera was inhabited since Minoan times (the first reference of the city Aptera as A-pa-ta-wa is traced in Linear B tablets coming from Knossos in the 14th- 13th century BC) but it only became a significant city around the 8th century BC. 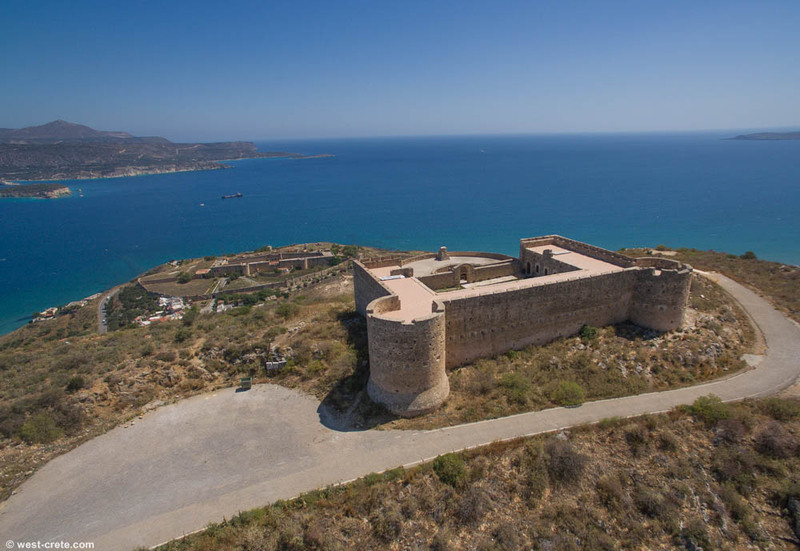 Its location above the bay of Souda was also strategically important: close to its two seaports Minoa (today's Marathi) and Kasteli (near Kalyves) Aptera could control the circulation of ships and it became a very important trading post in Crete and one of the greatest cities on the island. 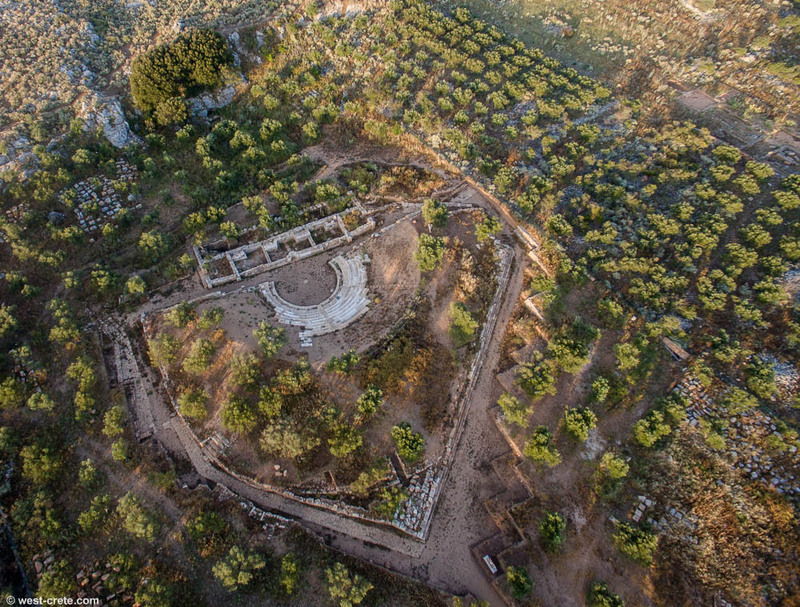 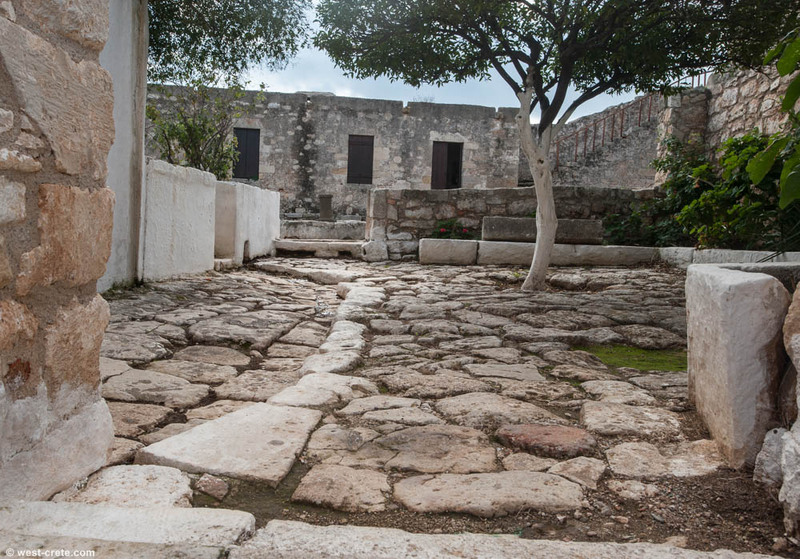 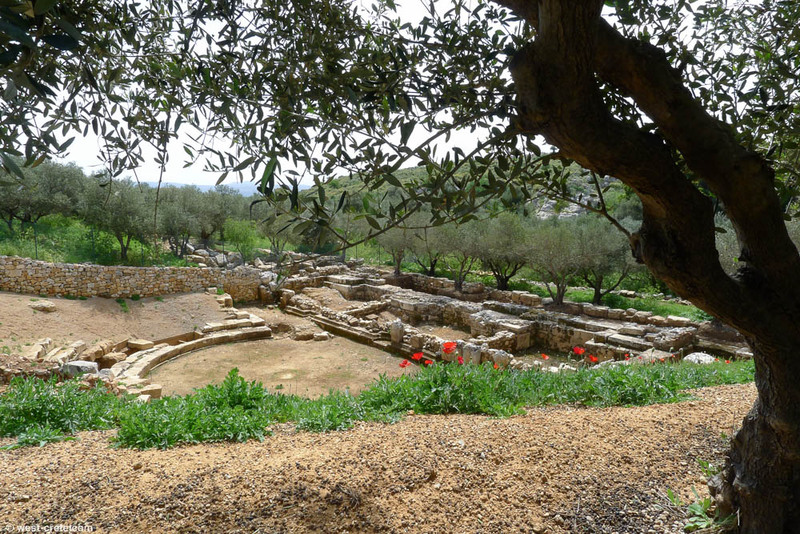 Aptera was destroyed in the great earthquake of 365 AD and only sparsely inhabited afterwards but a monastery dedicated to St. John the Theologian remained amidst the ruins. 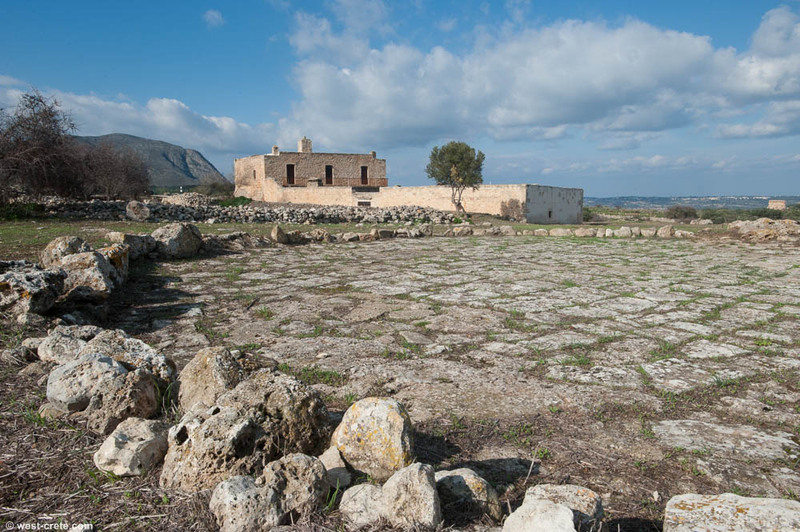 A part of the archaeological site is fenced off and you have to pay a small entry fee (in 2018 it is 2 Euro) to access it (from 8.00 to 15.00, closed Mondays). 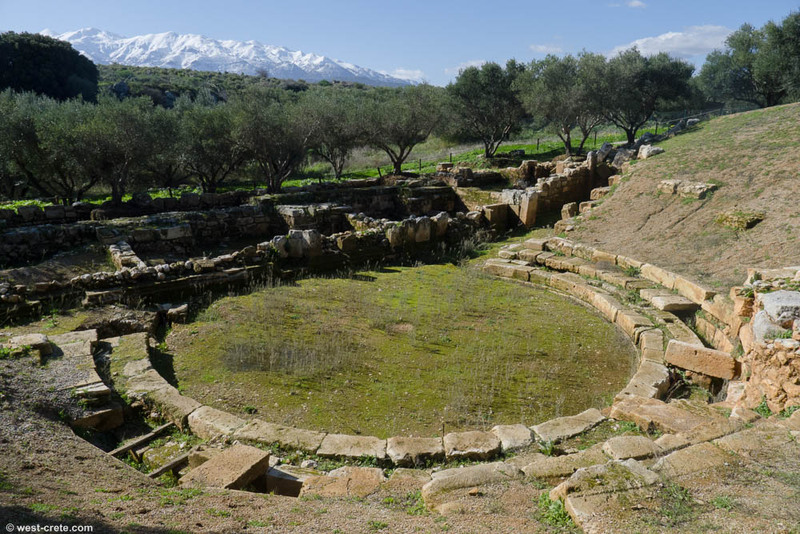 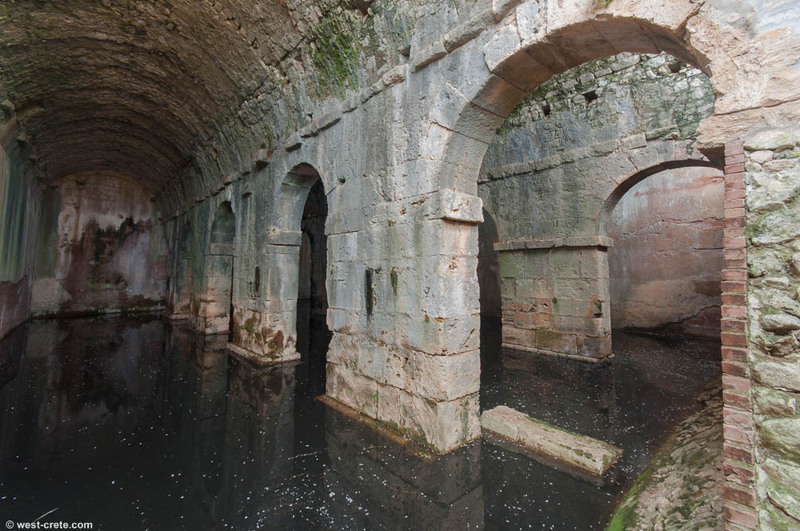 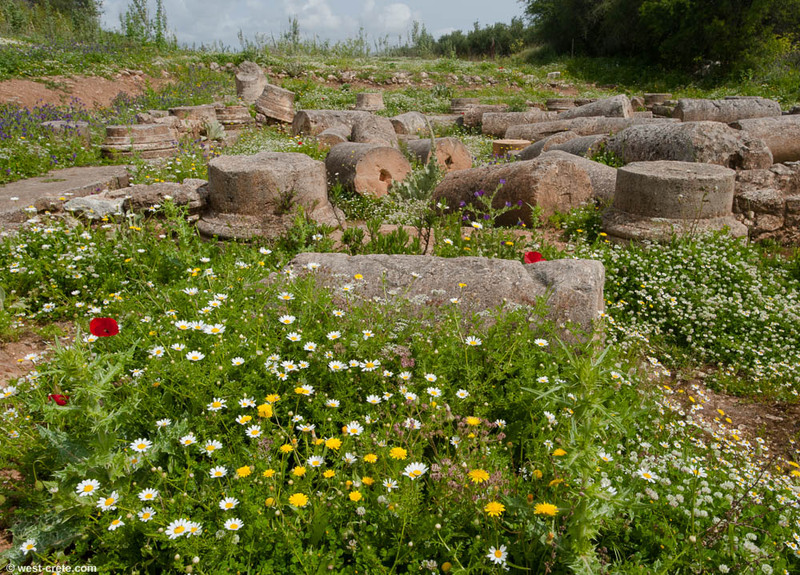 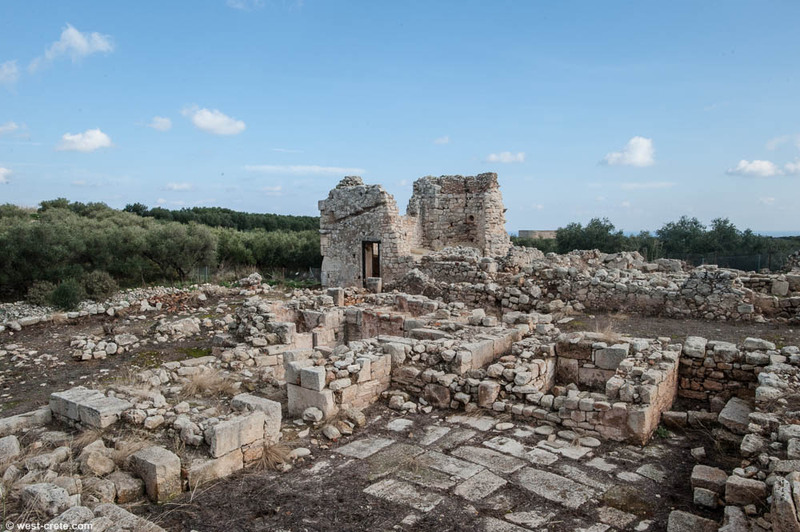 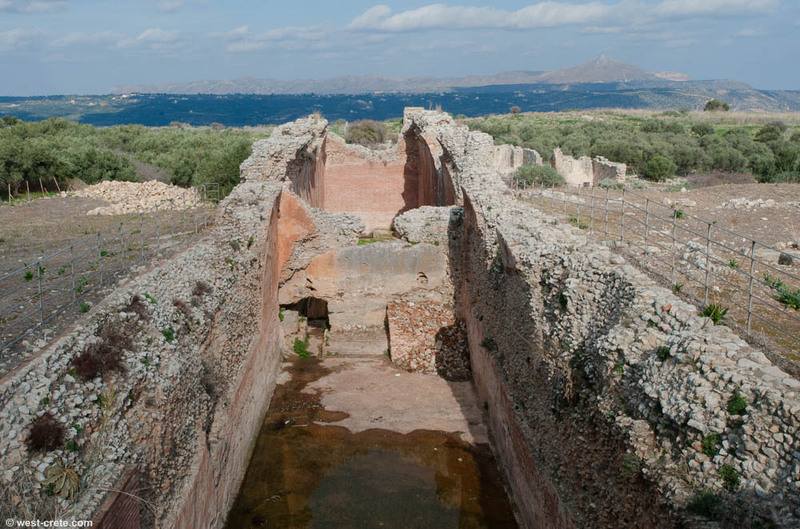 Within the site you can visit impressive Roman cisterns, ruins of Roman bath houses, a newly excavated theater and the monastery of Agios Ioannis Theologos in which there is an excellent presentation of the site of Aptera. 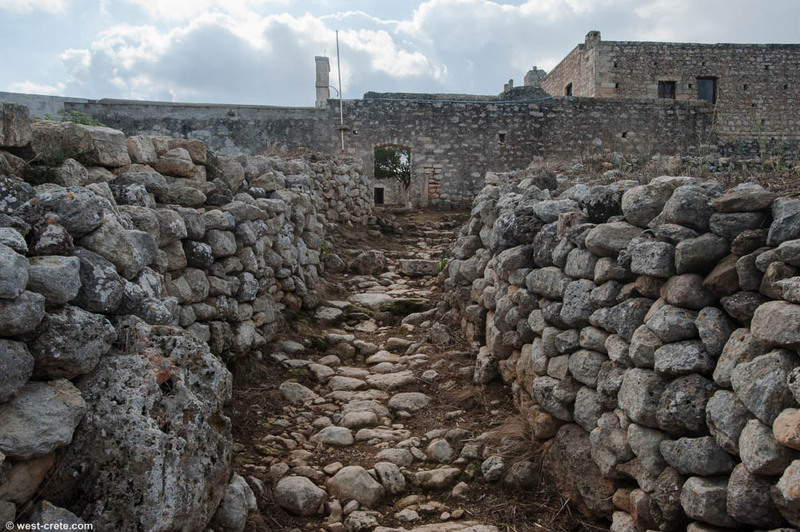 The enclosed area is only a small part of the very large site which encompasses the whole hill. 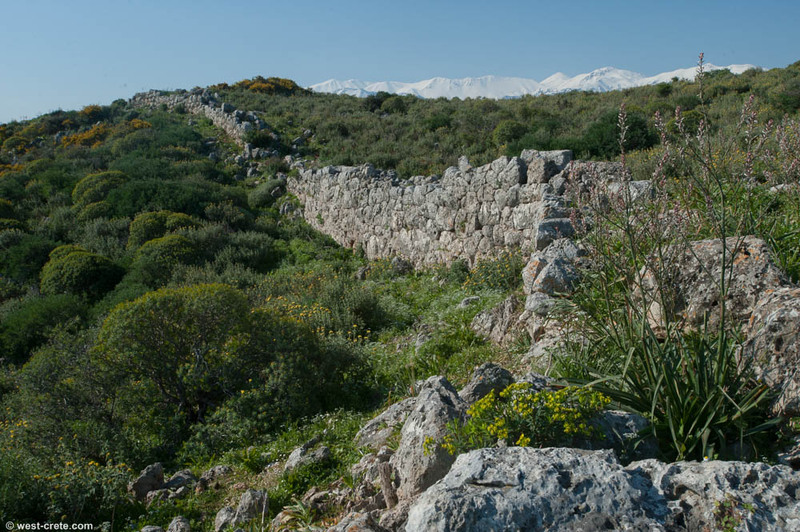 Surrounded by massive fortification walls (with total circumference of 3.5km) most of the area is still not exacavated but lots of work has been done on the western gate (the first place you see when you drive up towards Aptera) and there is an interesting Hellenistic villa excavated in a field near the site's entrance. 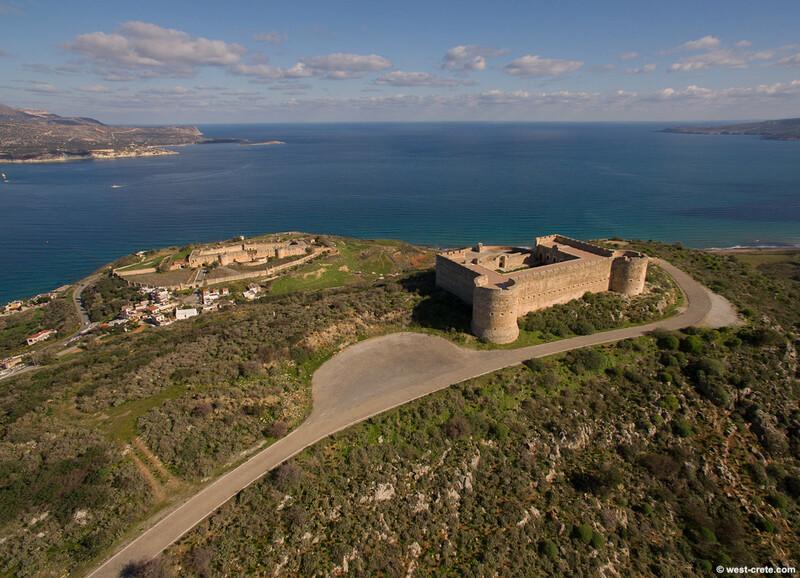 To the North of the hill a large Ottoman fort overlooks the whole of Souda Bay. 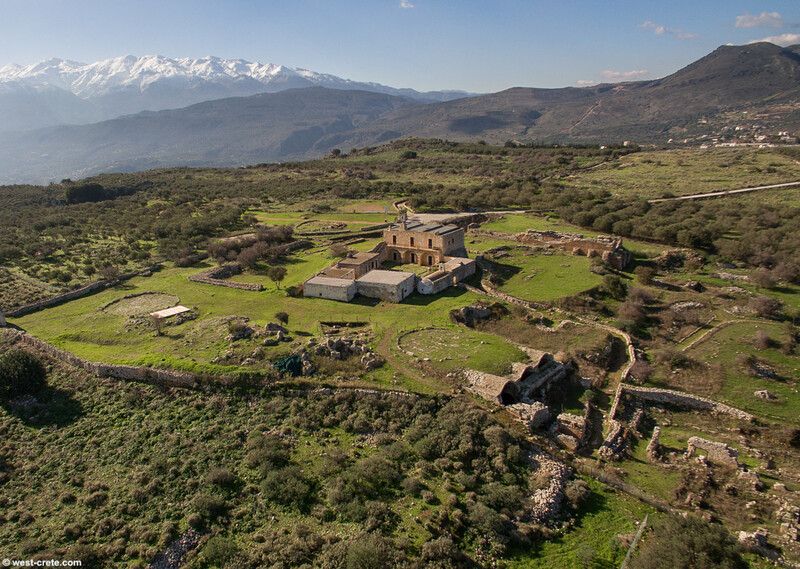 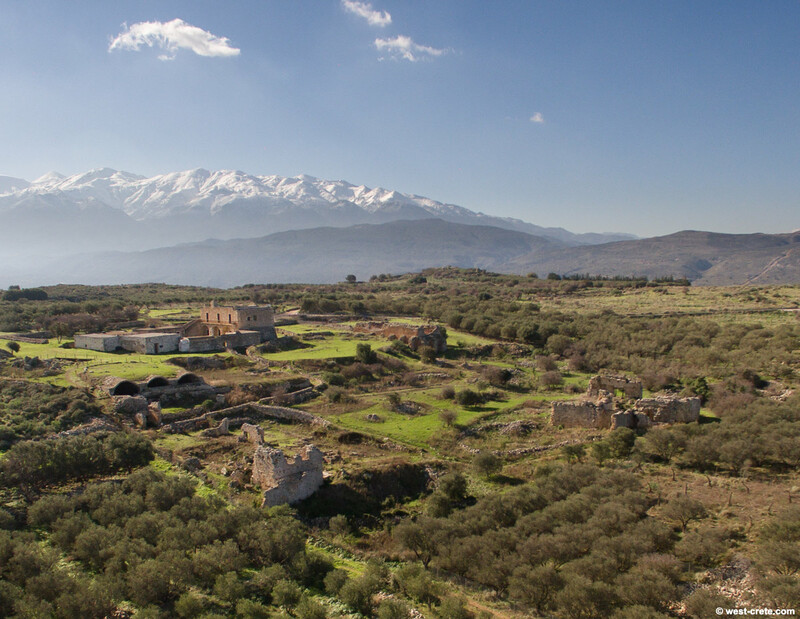 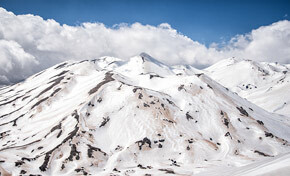 Aptera is located around 13 km away from Chania. 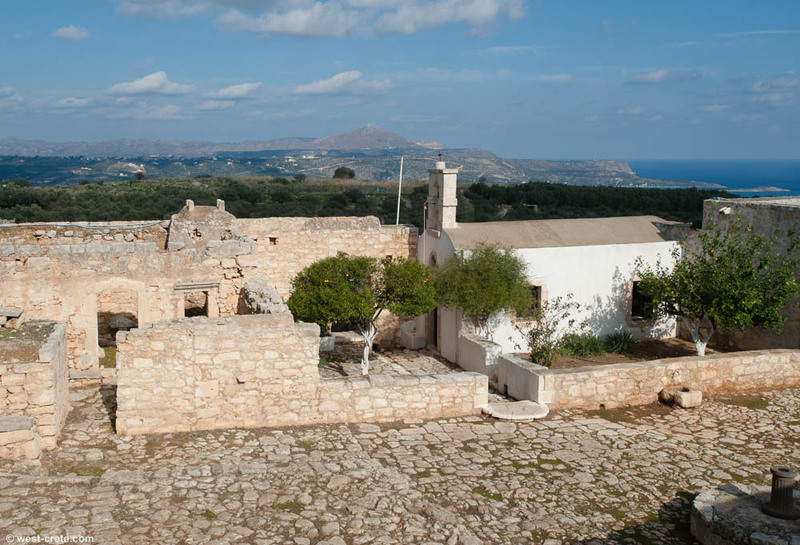 As there are no public buses to Aptera it is best reached by car. 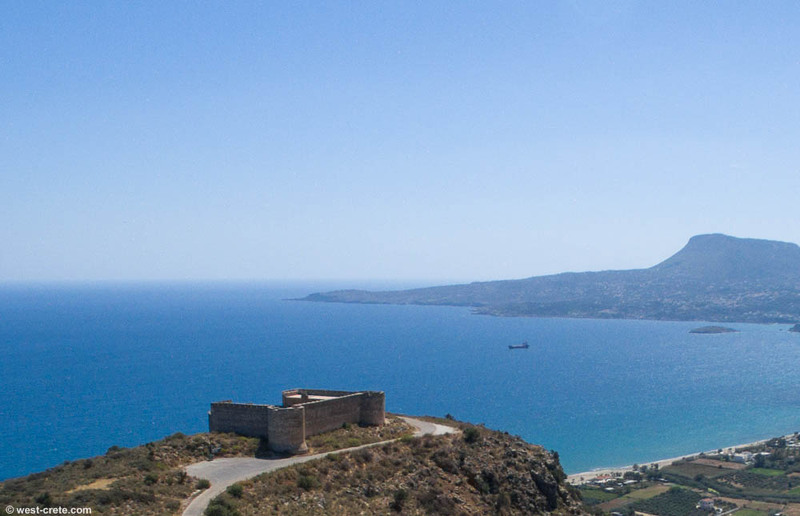 You could in theory take any bus to Rethymnon / Heraklion and get off at the crossroad that leads to Aptera but it will take you around 45 minutes to walk up the hill to the archaeological site. 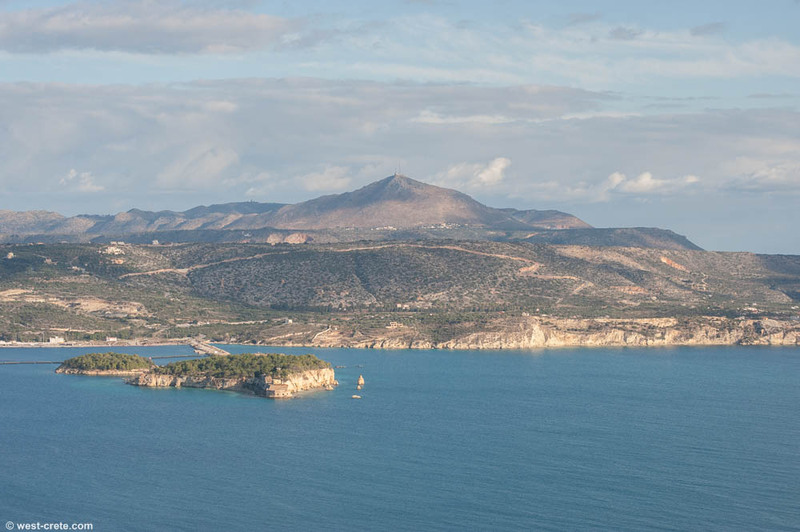 It is also possible to stay nearby with most places offering fantastic views as well as good beaches a short car ride away. 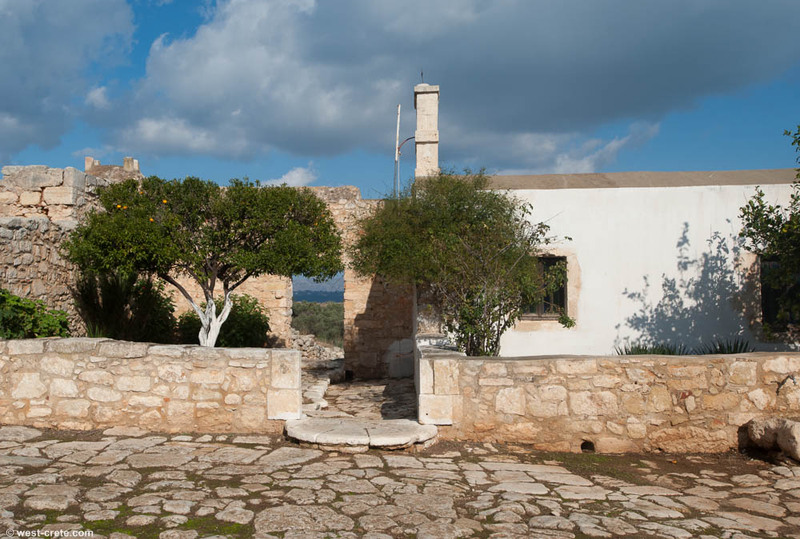 There are a few cafés and tavernas in the village of Aptera (formerly known as Megala Horafia) on the way to the site. 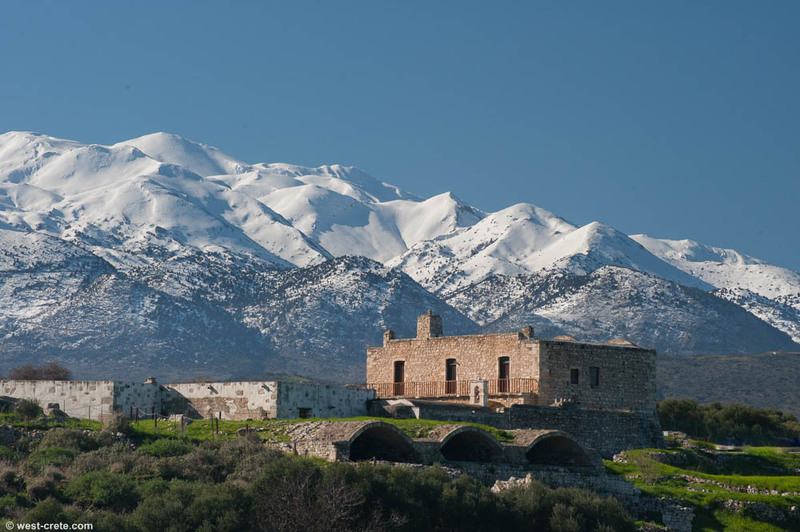 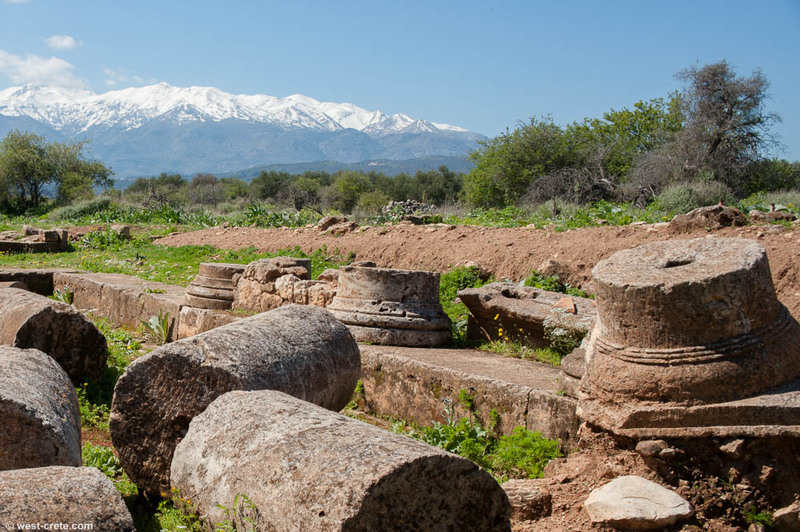 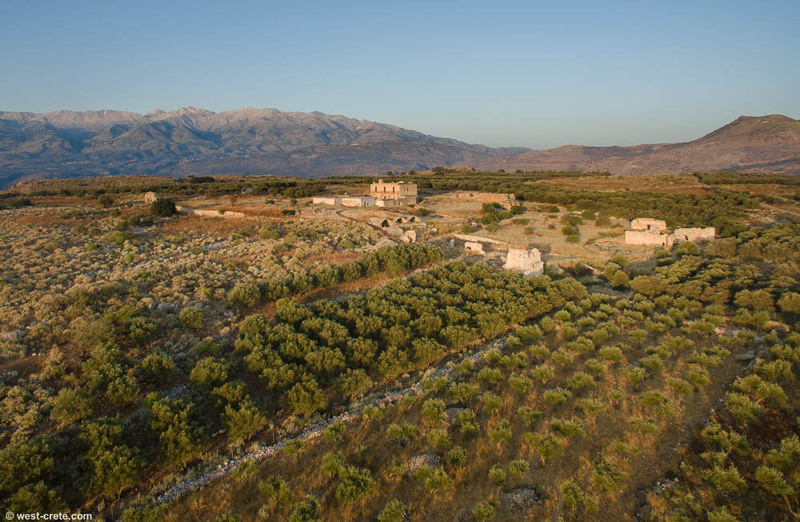 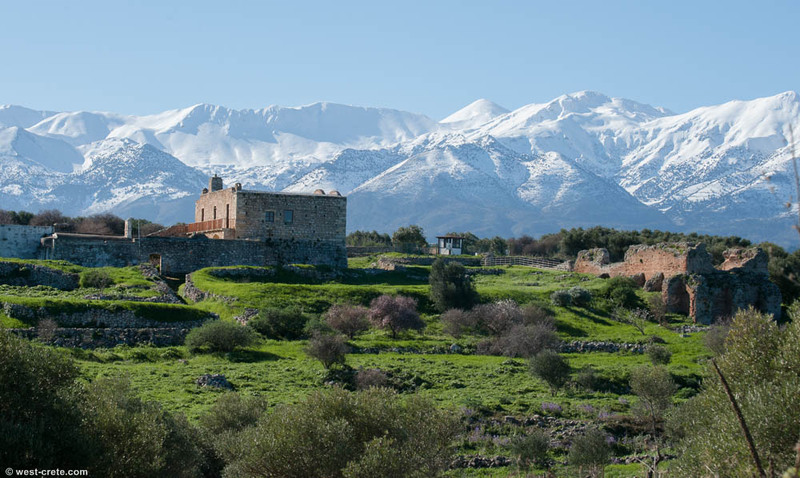 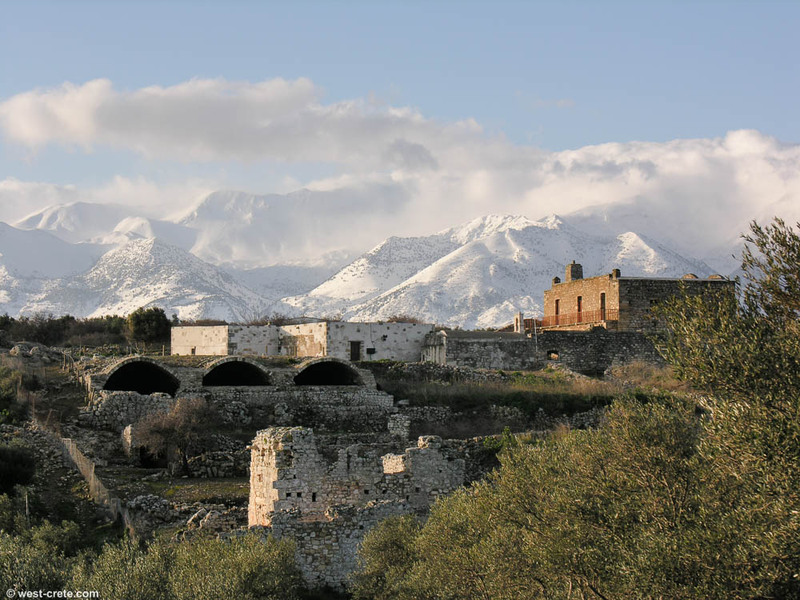 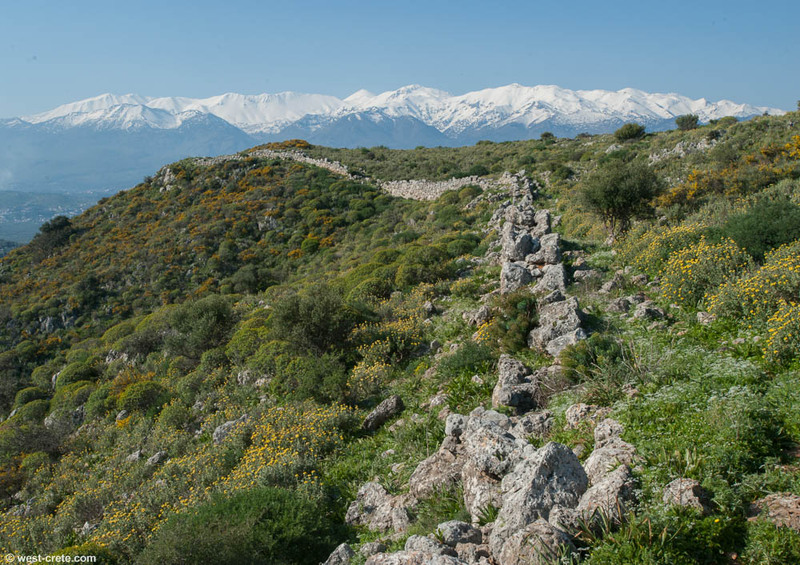 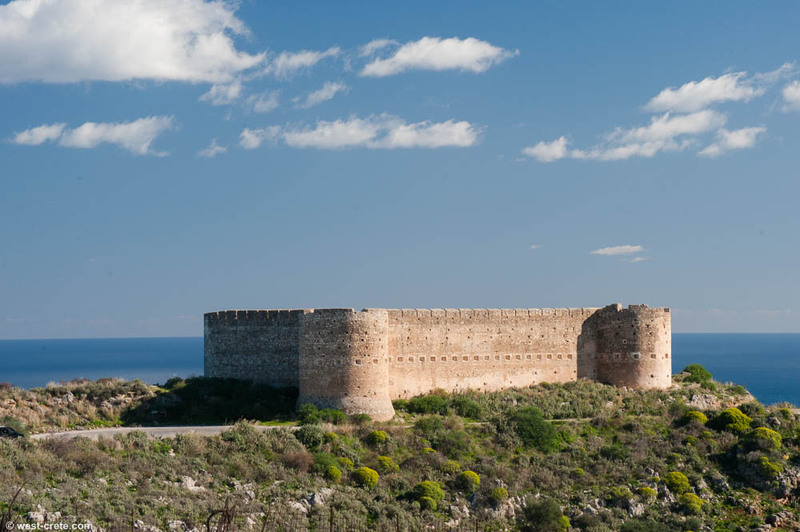 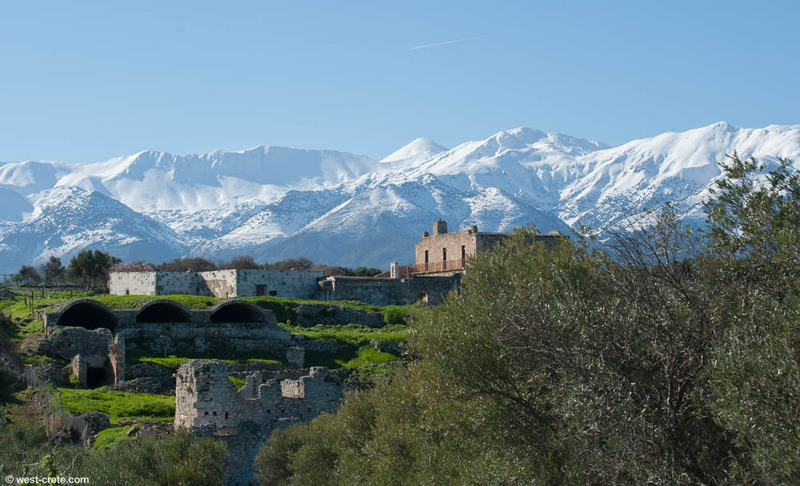 Apart from its archaeological interest Aptera offers splendid views of the Bay of Souda and the White Mountains, especially in winter and early spring when the mountains are covered in snow. 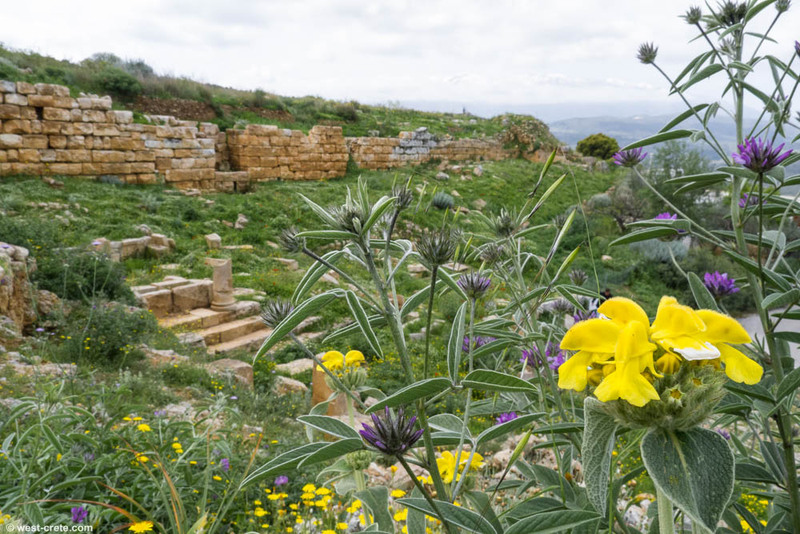 At that time of the year it is also a great place for wild flowers.